Our aim is to create a more vibrant, sustainable, resilient and self-reliant community. Winmalee Neighbourhood Centre (WNC) is on Aboriginal land and acknowledges the Traditional Owners of that land, the Darug and Gundungurra peoples. WNC is a not for profit Incorporated Association providing a wide range of programs that are responsive to the changing needs of the community, which includes Young People, Children and their families and those experiencing disadvantage. These programs range from recreational and educational, group activities to support groups, advocacy and practical support. Our aim is, through the provision of quality services, to create a more vibrant, sustainable, resilient and self-reliant community. We believe that every person has the right to expect equal access to programs and services. The Centre is owned by Blue Mountains City Council and we thank them for providing the space. With a grant through The Dept. Justice, Office of Emergency Management-Community Resilience and Innovation Program (CRIP) the Centre is running dedicated disaster workshops for women. The 2013 bushfires highlighted the need for such workshops where women could build on existing experiences/skills when faced with a bushfire and increase the 'hands' on skills and knowledge . The project addresses women's unique roles they can play when faced with bushfire situations and emergencies and takes into account that women are many times the carers of family and children along with volunteering, participating at school events, in paid employment, along with many other tasks. The project provides an environment where women build trust, make new social networks, is confidential and allows them to express their concerns while trying to fit into their lives another 'thing to do'. The workshops are run over 2 days and they have the opportunity to develop- women's knowledge of their local area environment, bushfire emergency communication and safety, survival skills in order to empower them to have the confidence to make better decisions about their own and their families safety including weather to leave early or take shelter in place if they are unable to evacuate. Bookings are being taken for our next workshop in April, date to be confirmed. Free child care is available with morning tea and lunch provided. Please ring the Centre for more information. The project is working collaboratively with Winmalee Public and High Schools, St Thomas Aquinas School, Rainbow Preschool, Pinaroo OOSH, local community members, and in partnership with Winmalee Rural Fire Brigade. “The views expressed herein do not necessarily reflect the views of the New South Wales Government”, unless the views expressed in the Project Materials have been publicly supported by the Government or a government agency. This is a new initiative for the Winmalee Neighbourhood Centre and the whole of the Blue Mountains. The food subsidised program has had a major impact on the community as it is allowing food items that are many times out of reach for people to be accessible. Every Friday, the Centre opens its Food Cupboard from 10:30am to 12:30pm. This allows those on low incomes to access the subsidised food. Each person who joins this project will be able to purchase ten items for $10, or fifteen items for $15. This will provide real value for money, and the cost incurred is for the transportation of food products. Items will change on a weekly basis, and at present, members can access the program on a fortnightly basis. Click HERE to download a pantry list. Eligibility is for those on Centrelink however if you find yourself in need please come and speak with our manager. Free nutritious fruit/vegetables/bread and treats are available 5 days per week. Available for BM residents and supported by SecondBite. If you would like to support this project, please contact the Centre Manager, as we are always seeking ways to support and increase the wellbeing of the community. Each year 1 in 5 Australians will experience a mental illness. Many people are not knowledgeable or confident to offer assistance. Physical first aid is accepted and widespread in our community, however most do not cover mental health problems. This 4 hour workshop is for adults supporting other adults at risk of suicide. The 4 hour workshop information is below and will be held at Lower Mountains Neighbourhood Centre. With the support of SecondBite the Centre has fresh nutritious food and bread available 5 days per week. If you are on a Centrelink benefit and require food this can be accessed FREE. This program began in 2013 and is providing food to those most vulernable in the community. 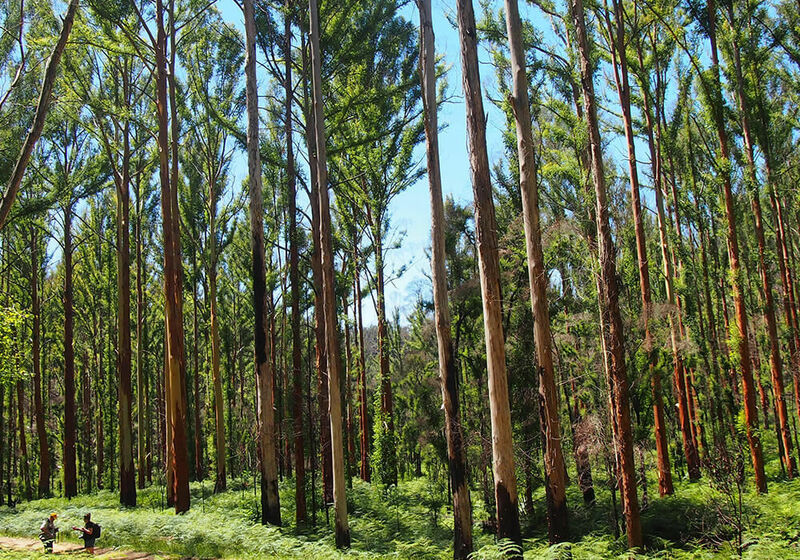 We provide this service to numerous agencies in the Blue Mountains along with the Hawesbury. 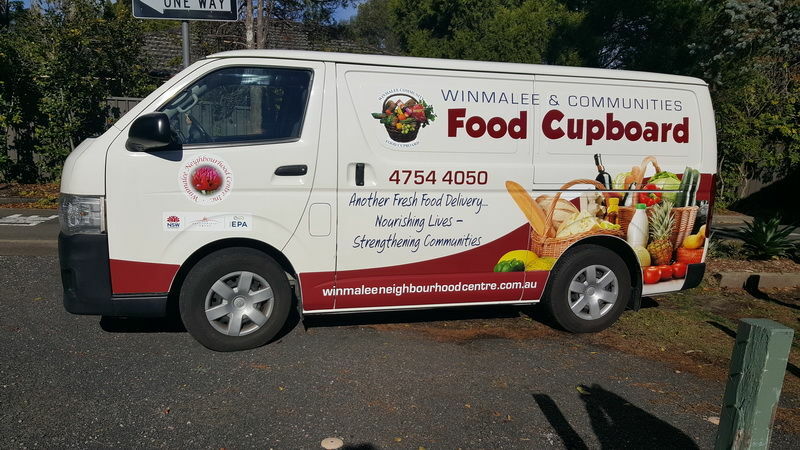 Food is sent to Thrive Family Services Katoomba, The Aboriginal Cultural Resource Centre Katoomba, Springwood Neighbourhood Centre, Blackheath Neighbourhood Centre, Rainbow Preschool, Pinaroo OOSH, and floodbank at Glendenning . In the past 12 months the Centre collect 92 tonne of food that would otherwise go to landfill, sorted and distributed the food. This food is increasing the health of the community and ensuring quality food is not going to waste. This is a massive effort from a very small team of workers and volunteers. With a grant from the Environmental Protection Association we have been able to purchase a delivery van however it is not a funded project and to continue this much needed service we are keen to connect with sponsors. More services are contacting the Centre to enquire if they could access the food, unfortunately we do not have the funds to increase our reach. Winmalee Neighbourhood Centre has DGR status and all donations are tax deductable. Your donations will assist with the fire recovery and support the community as they rebuild their lives.